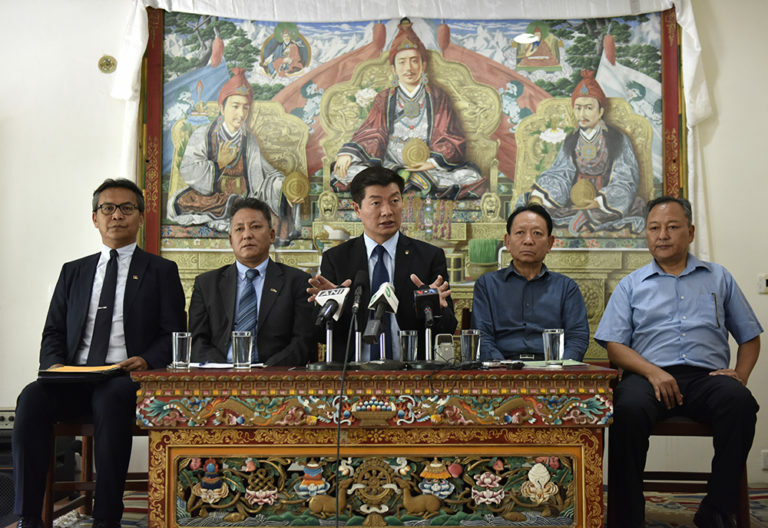 (TibetanReview.net, May24, 2018) – The Central Tibetan Administration (CTA) at Dharamshala, India, said May 22 that it had earmarked a total of Indian Rs 210 million for its Tibetan Refugee Livelihood Support Programme (TRLSP) for the second year. At what has been described as a ‘minimal’ interest rate of 4%, the programme grants loans to “the most vulnerable, needy, and unbanked members of the Tibetan community” to support their livelihood efforts. The programme is funded by the USAID. 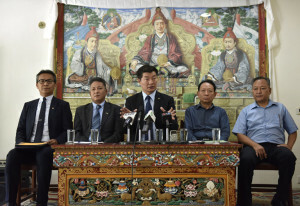 The programme was announced by the CTA President Dr Lobsang Sangay at a press conference, attended by Finance minister Karma Yeshi and Chief Planning Officer Dr Kunchok Tsundue who also both spoke. President Sangay has said the amount was increased this year following the programme’s success last year when the loans were repaid hundred percent. CTA’s Tibet.net May 22 did not say what the amount last year was. 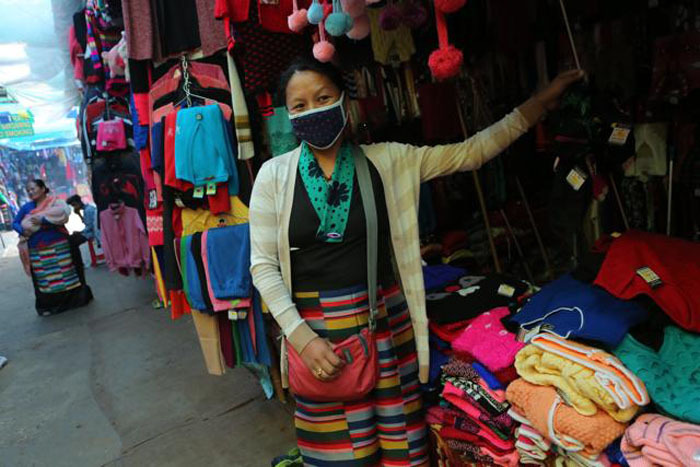 Loans were given last year to nearly 900 Tibetan wintertime sweater sellers, which were fully repaid within the stipulated period of Feb-Mar this year. This year, apart from winter sweater sellers, loans will be made available also to Tibetans selling trinkets on pavements at tourist destinations, those raising horses and mules for caravan services, and those running taxi services. This year’s TRLSP programme is targeted to benefit 1525 Tibetan families. It will provide packages of up to Rs 600,000 to 1525 families living in the 45 Tibetan settlements in India. And it will be implemented over Jun-Aug 2018.